TEMECULA, CA – The Temecula Valley Museum will host two special events in celebration of our newest exhibit “Bear In Mind: The Story of the California Grizzly”. Thursday, May 29 at 7 p.m. – The Grizzly in Southern California. Rob Hicks, Park Interpreter from the Santa Rosa Plateau Ecological Reserve will discuss the natural environment in Southern California during the time of the Grizzly Bear. Saturday, May 31at 11:30 a.m. – Teddy Bear Picnic. Children are encouraged to bring their favorite teddy bear to view the exhibit, play in our Touch History education area, read stories about the Grizzly Bear, and then enjoy a teddy bear picnic in the park in front of the museum. Snacks and drinks provided. The museum will give a FREE small stuffed bear to each child while supplies last. Space is limited for both events. Please RSVP by calling (951) -694-6450. “Bear In Mind: The Story of the California Grizzly” tells the story of California’s most beloved and feared animal. 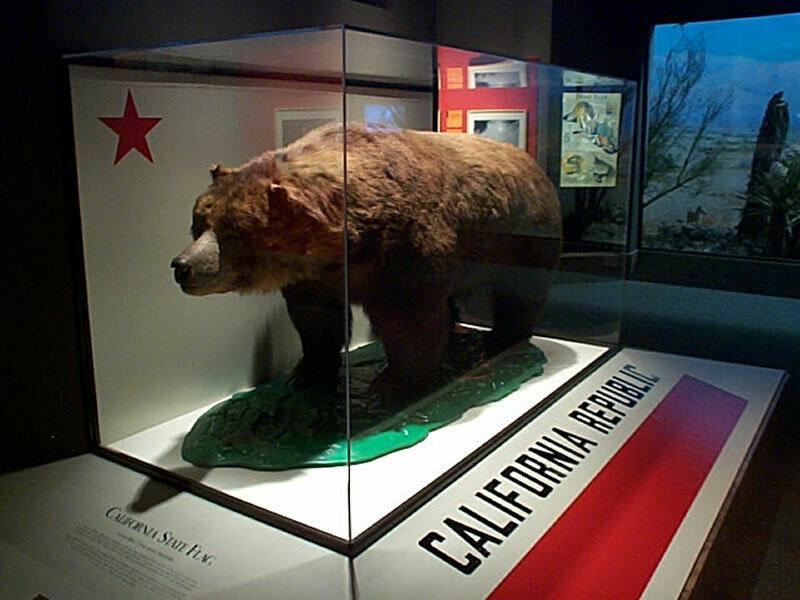 The exhibit details how the Grizzly was a symbol of California’s untamed wilderness, and of freedom and power, but was driven to extinction as California was settled. “Bear In Mind: The Story of the California Grizzly” is on display through July 13, 2014. The exhibition is produced and toured by the California Exhibition Resources Alliance (CERA). The exhibition was developed in concert with The Bancroft Library, University of California, Berkeley and Heyday Books. This exhibition was supported by the William Randolph Hearst Foundation with additional funds from the Bank of the West.